Overnight train rides are not only still in fashion, they are one of the most romantic getaways you can take in a place like California. Train rides are all about the journey, but the destination can be fun too (as is the case with the Napa Valley Wine Train). Read on to learn more about some of the most incredible overnight train trips you can take throughout the most beautiful parts of California. 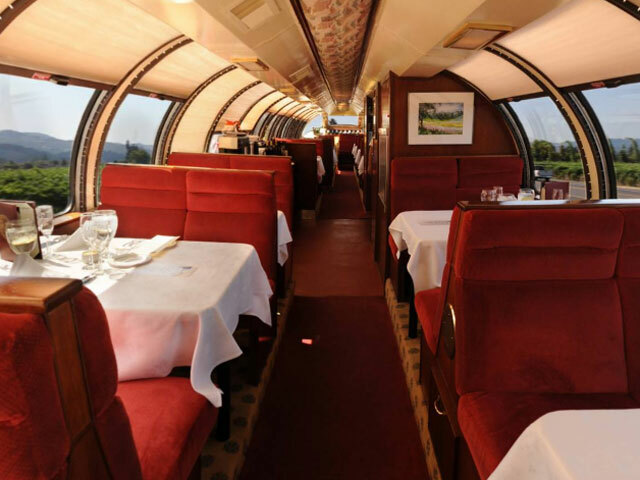 One part Orient Express, one part time capsule, the Napa Valley Wine Train offers an interesting getaway to wine country. The track was laid back in 1864, and the trains were constructed in 1915. Those restored cars offer all the modern amenities, complete with an observation deck where guests can enjoy the weather. If you land at SFO, you can take a ferry ride over to Vallejo where you can shuttle to the train that takes you to Napa Valley. The trip is relaxing, and it’s an overnighter. Except for the transitions from one line to another, you’re free to relax and take in the scenery. Make sure you stay at the Napa River Inn, which offers 66 rooms in a Victorian style boutique hotel. Did you know you can take a tour of Napa Valley by hot air balloon? Using Balloons Above the Valley, and renting from any of the local motels in the area, you can get a bird’s eye view of the entirety of California Wine Country. Archbishop James Provence is retired from the Church and currently resides in Vacaville. James Provence is a volunteer docent with the California Railway Museum.